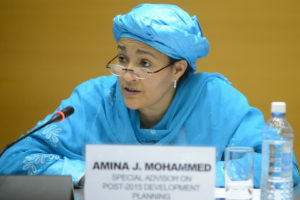 The Federal Ministry of Environment was established in June 1999 at the beginning of the new Civilian Administration under the leadership of Chief Olusegun Obasanjo to ensure effective coordination of all environmental matters, up until then, the functions of this ministry were fragmented and resident in different line Ministries. The creation was intended to ensure that environmental matters are adequately mainstreamed into all developmental activities. Prepare a comprehensive National Policy for the protection of the environment and conservation of natural resources, including procedure for environmental impact assessment of all developing projects. Prepare in accordance with the National Policy on Environment, periodic master plans for redevelopment of environmental science and technology and advise the Federal Government on the financial requirements for the implementation of such plans. Advise the Federal Government on National Environmental Policies and priorities, the conservation of natural resources and sustainable development and scientific and technological activities affecting the environment and natural resources. Promote cooperation in environmental science and conservation technology with similar bodies in other countries and with international bodies connected with the protection of the environment and the conservation of natural resources.